Bible-believing Christians and churches, believing as they do in Christ's Great Commission to "preach the gospel to every creature" (Mark 16:15), have tried many methods to reach non-Christians cultures, some of which have not been very effective. 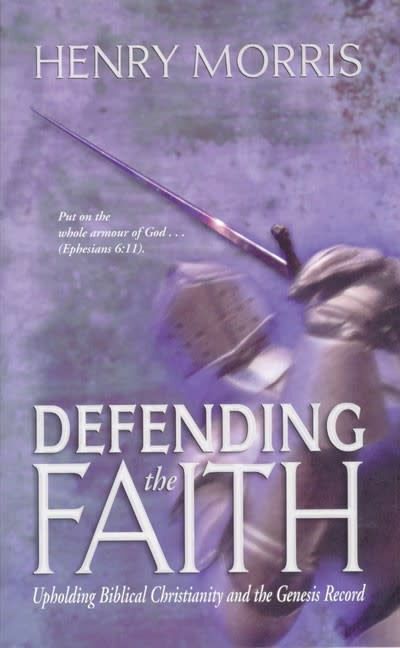 Often they have found that preaching the doctrine of salvation by grace through faith in Christ, apart from Scriptural and historical foundations of this doctrine, has produced little fruit. On the other hand, the best results have usually been achieved by those who realized that the Scriptural way to approach such people was in terms of the foundational truth of creation. Once the existence of the true God and His interest in humankind is established, then the missionary can go on to show that it is only the Creator of all men who can really save them from their sins. That same Creator has become man, borne God's judgment, died for their sins, and been raised again. That this order is the Biblical norm is evident from the fact that, in the days to come, when God sends an angel to preach the gospel on the foreign mission field (perhaps because the believers in that day either can't or won't do so), this is the way the angel does it! "And I saw another angel fly in the midst of heaven, having the everlasting gospel to preach unto them that dwell on the earth, and to every nation, and kindred, and tongue, and people, Saying with a loud voice, Fear God, and give glory to Him; for the hour of His judgment is come: and worship Him that made heaven, and earth, and the sea, and the fountains of waters" (Revelation 14:6,7). When Paul went to the Jews with the gospel, he always "reasoned with them out of the Scriptures" (Acts 17:2), for they already knew and believed the Biblical record of creation and the fall, needing only to be shown from Scripture and the resurrection that the Creator had become the promised Savior. However, when Paul "preached the gospel" to the pagan Lycaonians (Acts 14:6,7), he cried: "We . . . preach unto you that ye should turn from these vanities unto the living God, which made heaven, and earth, and the sea, and all things that are therein" (Acts 14:15). These were men who did not have the Scriptures, so the apostle first had to reach them in terms of something they did have, the foundational knowledge of God as Creator, long submerged under their everyday idolatries, but still there in dim remembrance. "He left not Himself without witness" (Acts 14:17), and that witness was all around them in nature and in their very consciences. Likewise, when Paul preached to the Athenian philosophers, surrounded by images of a multitude of "gods," he realized they still believed in an "unknown god" who was their Creator, and so began there. "God that made the world and all things therein . . . giveth to all life, and breath, and all things" (Acts 17:24,25). He then preached against their pantheistic idolatries and urged them to "repent" (or "change their minds"). The God of creation had become an ordained Man who would someday "judge the world in righteousness," and this fact had been uniquely confirmed when God "raised Him from the dead" (Acts 17:30,31). And so it was throughout the apostolic period. When preaching to those who already believed the Bible, they began with Christ and the resurrection. When preaching to pagans, they first preached creation, then the life and work of Christ. In Paul's great missionary message to the Romans, he asked: "How shall they hear without a preacher? And how shall they preach, except they be sent? . . . But I say, Have they not heard? Yes verily, their sound went into all the earth, and their words unto the end of the world" (Romans 10:14,15,18). Thus, they have already heard, through the message of creation itself. The apostle is quoting from the 19th psalm, which begins: "The heavens declare the glory of God." Jesus Christ is the very "brightness of His glory" (Hebrews 1:3), and to those who have eyes to see, the creation does, indeed, reveal His glory. This is also the testimony of Romans 1:20: "The invisible things of Him from the creation of the world are clearly seen, being understood by the things that are made, even His eternal power and Godhead." Nevertheless, such "general revelation" is not sufficient in itself to lead men to a saving knowledge of Christ. The "specific revelation" of Scripture, with its wonderful message of redemption, is essential, and so is the missionary. At the same time, the missionary has the invaluable assistance of the witness of creation in nature and conscience, if he will only use it as his foundational emphasis in reaching his hearers. The apostolic example and the effectiveness of the creation testimony in nature and Scripture have been abundantly confirmed in missionary experience, even though this fact is not yet widely known or appreciated. The popular missionary writer, Don Richardson, has published a fascinating of this phenomenon in his book, Eternity in Their Hearts (Ventura, Calif.: Regal Books, 1981, 1976 pp. ), giving numerous examples of previously unreached peoples who had retained enough knowledge of the true God and Creator to respond gladly when the complete gospel finally reached them through missionaries. 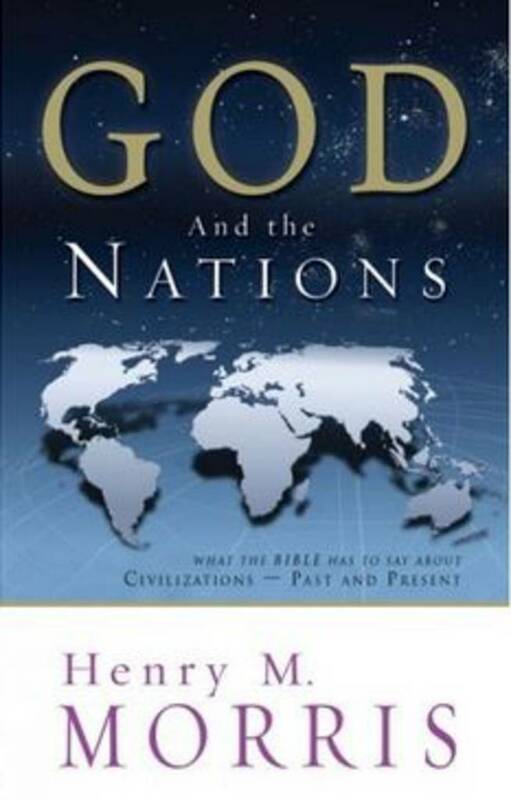 Particularly citing the monumental six-volume work of the Roman Catholic ethnologist, Dr. Wilhelm Schmidt (The Origin of the Concept of God, 1934), Richardson says: "Probably 90 percent or more of the folk religions on this planet contain clear acknowledgment of the existence of one Supreme God!" (Ibid., p. 44). The 19th century notions of the evolution of religion from primitive animism to polytheism to monotheism have been falsified in tribe after tribe all over the world. The real changes have been exactly the opposite, as documented extensively by Dr. Schmidt and others, from original monotheism to evolutionary pantheism to polytheism to animism and even (in our modern enlightened age) to atheism and communism. The tragedy is that the ancient "folk religions," with their traditions of the "high God," creation, the fall, the flood, and often even the dispersion, have been opposed from the beginning by the various formal religions that developed around the concept of evolutionary pantheism (e.g., the ancient pagan religions, then Hinduism, Confucianism, Buddhism, and others), all of which denied the Creator and identified ultimate reality with an eternally evolving cosmos. For example, consider the ancient nation of China. C.H. Kang and Ethel Nelson have demonstrated that the very characters in the complex Chinese written language were derived from the primeval events recorded in Genesis. See their book, The Discovery of Genesis (St. Louis: Concordia, 1979, 139 pp.). For a long time, the Chinese people worshiped just one God, Shang Ti, the Lord of heaven, retaining a clear tradition of the great flood and their migration from the region of Babel. Eventually, however, this system was replaced by the humanistic religion of Confucius, still later by the occult religions of Taoism and Buddhism, and finally by the atheistic religion of communism. Richardson shows that the greatest missionary successes (e.g., the Koreans, the Karen people of Burma, and many others) have come when the peoples had retained a remembrance of the high God and the missionaries had been willing to identify this Creator God of their folk religion with the true God of the Bible. He then comments as follows concerning those who have neglected this approach: "Followers of Christ around the world and down through the centuries could have had 100 times more missionary vigor if seminary professors, pastors, and church school teachers had understood and communicated this central theme as the Bible communicates it" (op. cit., p. 129). With the explosive growth of science, travel, and communication in the past century, the hold of the world's pantheistic and occult religions on the nations has become stronger than ever. Since these are all evolutionary religions anyway, modern propaganda on behalf of "scientific" evolutionism has been readily accepted by them and used to convince their adherents of the scientific validity of their respective religious systems. Evolutionism is now taught as vigorously in the schools of Africa, Asia, and the Pacific islands as it is in America and Europe and is now even more readily accepted and widely believed on these "mission fields," where evolutionary religions have held sway for centuries, than it is in the "Christian" nations of the West. 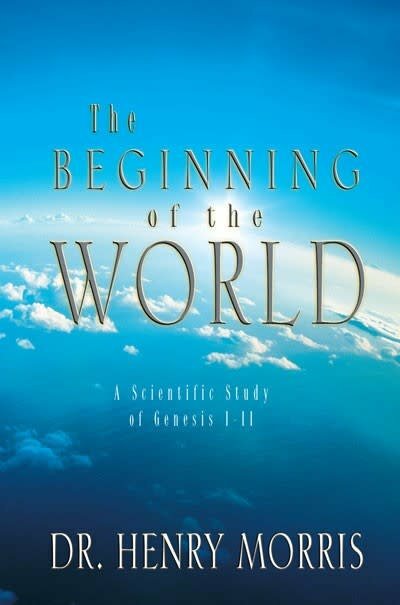 It is, therefore, more vital than ever that these peoples be reached first of all with the truth of creation, except that now it must be Biblical creationism in a scientific context, showing that their evolutionary premises and teachings have been false. The Islamic nations and the Jewish people constitute a special case, of course, for these are--at least nominally--monotheistic and creationist, all believing, to some degree, in the book of Genesis. The problem is that while they believe in the Creator, they fail to see that He has (and must) also become the Savior. They accept the foundational component of the gospel, but stop there. Consequently, their religions also have become humanistic in soteriology, even if not in theology, and so they also often become easy prey to "scientific evolutionary humanism," just as do the "liberals" in Christian cultures. Evolutionism is not merely a scientific issue. In one form or another, it has always been present, in every land and among every people, opposing the true God of creation and His purposes for mankind. With the increasing modern drive toward "globalism" as espoused by the many-pronged thrusts of the so-called "New Age Movement" and its promotion of occultic evolutionary pantheism as the world religion of the future, it is more dangerous than ever, backed as it is by the scientific and educational establishments in almost every nation. 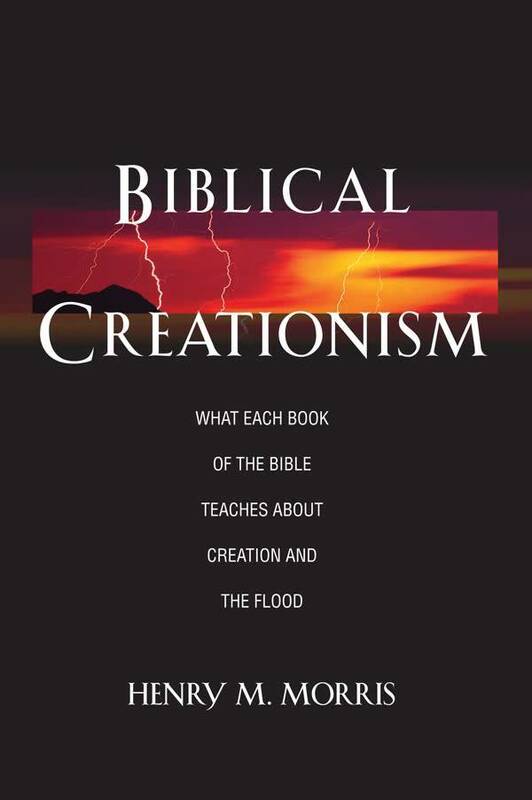 A strong emphasis on genuine creationism, centered both in clear Biblical revelation and the real facts of science, is therefore more urgently needed now than ever before on what American Christians have traditionally regarded as the "foreign fields." To achieve real and lasting success in winning the people of these lands to Christ, missionaries must be well equipped to deal with this foundational issue wherever they go. The encouraging thing is that this has been the clear Biblical precept and example all along! Following in the path of both the first-century missionaries and the early missionaries of modern times, they will find their message of creation/salvation still supported by the witness of the created world and the internal heart-witness of men and women created in God's image, "of all nations, and kindreds, and people, and tongues" (Revelation 7:9). 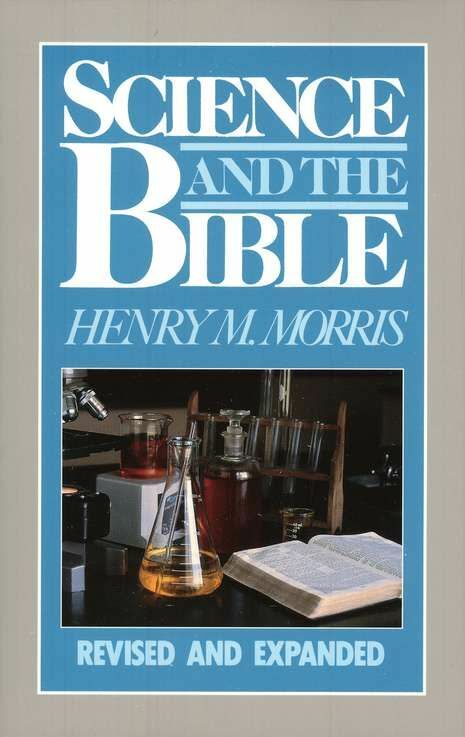 Cite this article: Henry M. Morris, Ph.D. 1986. The Importance of Creationism in Foreign Missions. Acts & Facts. 15 (8).